As the old set all tiles are seamless in a 1024 x 1024 dimension. 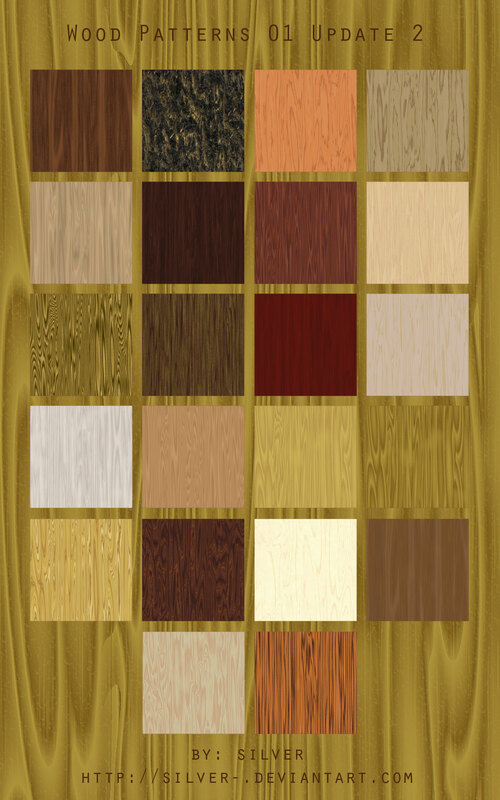 Wood Types included: African Ebony, Black Cherry, Cedar, Dark Mahogany, Mahogany, Maple, Rosewood, Sycamore, White Ash, Zebrawood, Oak, and more. I have included the jpg file for people who want to use them in programs besides Photoshop.